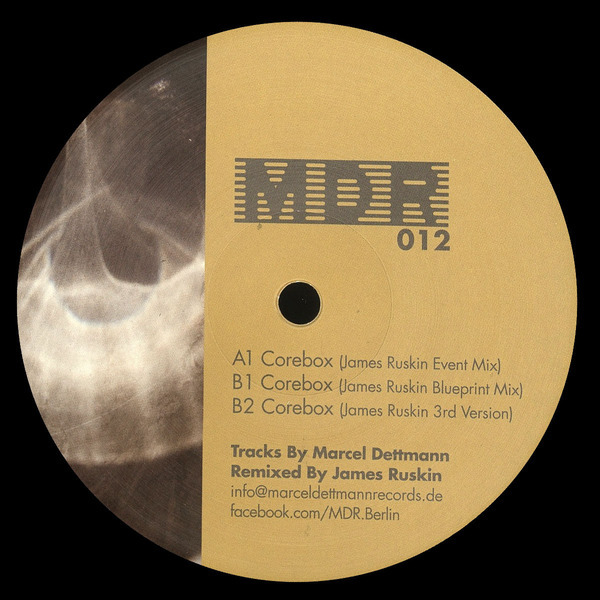 James Ruskin gives Dettmann's 'Corebox' three salty, driving remixes. The Blueprint Mix is dry, stomping, with a darkly-tinted lead riff and razor-slicing hi-hats. The 3rd Version is shorn of beats, leaving a serpentine, low-lit bassline to uncoil under modulated syntlines and creep-as-hell industrial atmospheres, and the Event mix gets back to big room business with low-slung kicks and shifty, pensive atmosphere.